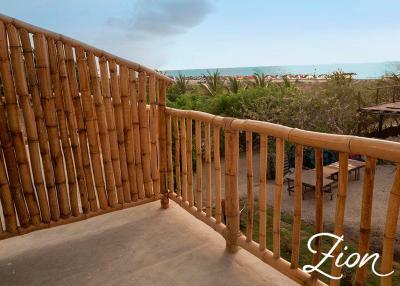 Lock in a great price for Zion Beach House – rated 9.9 by recent guests! The staff were incredibly friendly and helpful, but didn’t overwhelm in any way! The food cooked by the chef was amazing, always fresh, and catered for my friend with a gluten allergy without reducing the bulk of the meal! 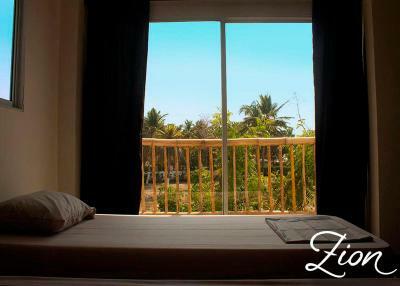 The hostel is well situated for those into water sports, but also a calm place to enjoy a sunbathe and read your book! It is a 20,000 peso taxi from the airport too! 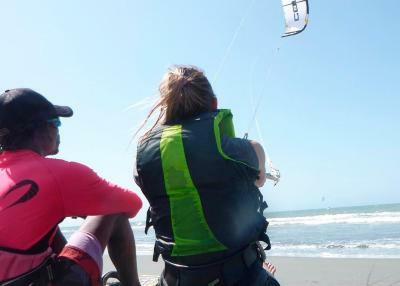 Zion Beach House is an amazing place right next to the sea, so it’s perfect for relaxing at the beach or practice kite-surfing. The staff is very nice and helpful and the breakfast and other foods are delicious! I really liked the whole hostel. 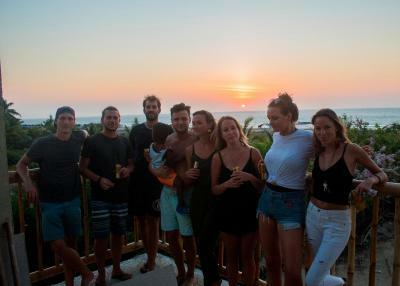 The Location is right by the beach, there is an amazing view with the sunset every night, and the owners and the volunteers are super nice, but also the food was amazing, I've never seen such a passionate cook! I just booked a night and stayed way longer than expected. 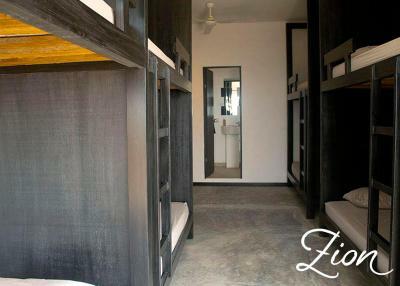 The Rooms are clean and really new, every Room has their own Bathroom plus 2 other ones, so you never have to wait to shower. 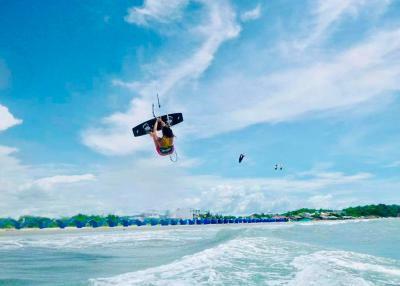 I didn‘t even Kitesurfing and still enjoyed my stay soo much! It's an amazing hostel directly at the beach. 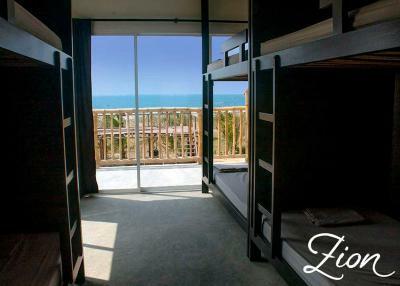 It's completely new built, i had a breathtaking sea view from my bed in the dorm. And we enjoyed the sunsets from the balcony or the terrace. The hostel is really familial, we ate every evening with the owners and volunteers together. The food was super amazing, the best food i had in colombia. 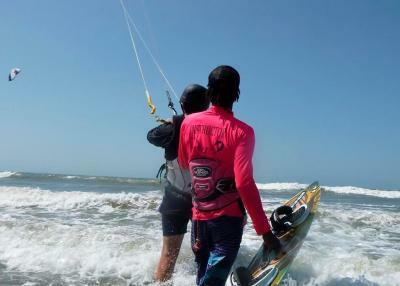 I learned how to kite surf with the school which is in the same house. I could completely recommend it! La verdad me pareció un sitio super agradable, limpio, con unos muy buenos acabados, baños hermosos, la vista al mar, el desayuno muy rico de los mejores que he probado en hostales, no me llevo ninguna queja. 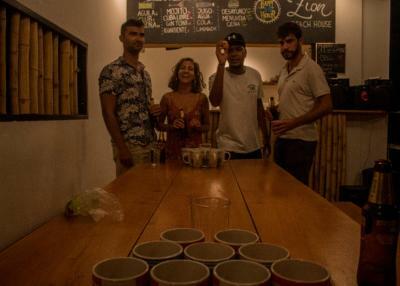 El mejor hostel!! Es un lugar muy agradable, la atención es muy buena, son súper atentos, se siente un ambiente familiar. La comida es muy ricaaa y la vista al mar maravillosa. ¡Recomendado! 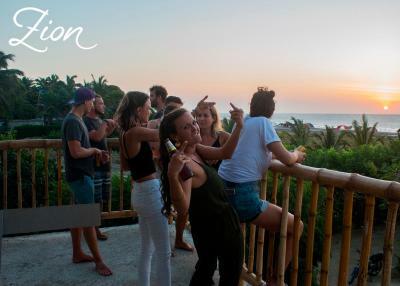 10 miles from Cartagena's Walls, Zion Beach House is located in Cartagena de Indias and provides free WiFi and express check-in and check-out. Located in the Manzanillo district, the property provides guests with a restaurant. 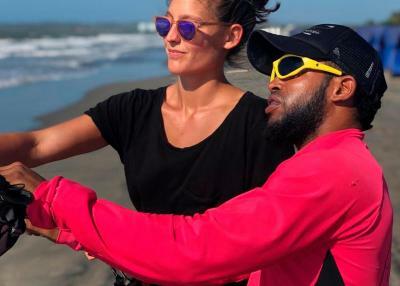 Local points of interest like Steps of La Popa Mount and Bolivar Park are reachable within 11 miles and 11 miles, respectively. The hostel has a terrace. Cartagena's Gold Museum is 11 miles from Zion Beach House. The nearest airport is Rafael Núñez International Airport, 10 miles from the accommodation. 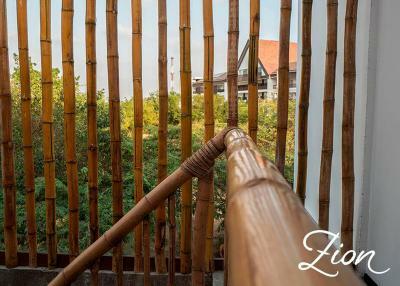 When would you like to stay at Zion Beach House? House Rules Zion Beach House takes special requests – add in the next step! Zion Beach House accepts these cards and reserves the right to temporarily hold an amount prior to arrival.